I went to visit Leighton Hall, near Carnforth. The hall you see today was rebuilt by George Towneley in the 18th century. It originally had a plain roofline in the Adam style and the ‘turrets’ you can see are a later addition. The original manor house was destroyed by government troops after the owner Albert Hodgson was taken prisoner at the Battle of Preston during the Jacobite rebellion of 1715. He was imprisoned in Liverpool Castle for 15 years and his estate was forfeit, but when the house was sold by auction in 1723 it was bought by Thomas Winckley of Preston for £1562 who returned it to his friend. Albert Hodgson had two daughters, Mary and Anne who seem to have lived in what was left of their house. Mary later married George Towneley who was reputed to be the fourth richest man in the country and was one of the Towneleys of Burnley, making him a descendant of two of my characters in The de Lacy Inheritance. There were no children from their marriage and the hall later passed to members of the Gillow family who were well known in the Lancaster area for their furniture making business. The hall still has many examples of Gillow furniture – and you’re even allowed to sit on the chairs! 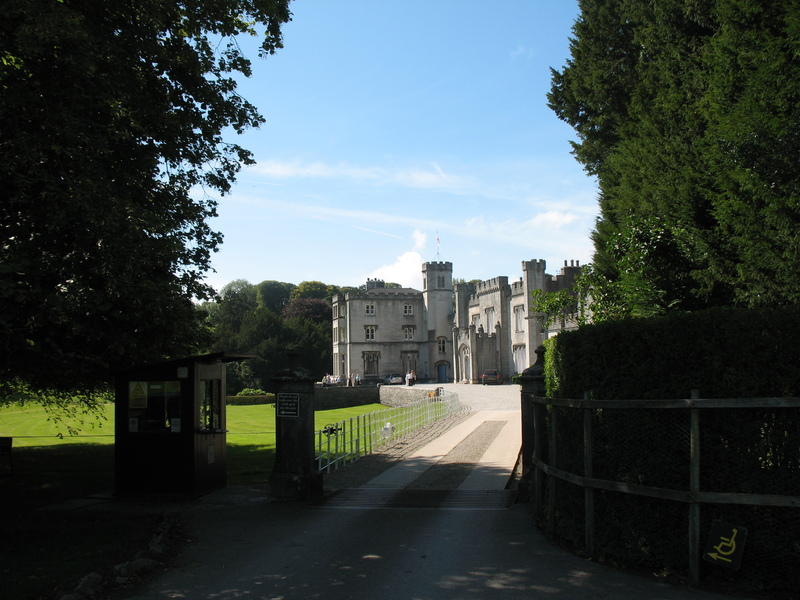 Richard and Susan Gillow Reynolds are the current owners of Leighton Hall and open it to the public on summer afternoons. It’s a delightful place to visit and I came away feeling as if I’d spent an afternoon with friends rather than in a stately home. How interesting. I must make a note and visit this hall and sit in the chairs.